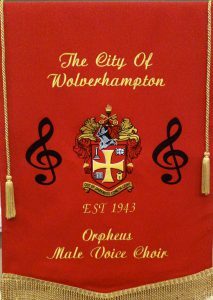 The City of Wolverhampton Orpheus Male Voice Choir are to hold a total of four concerts in December, one on December 3rd, then another on December 8th, one on December 14th and a final one on December 15th. 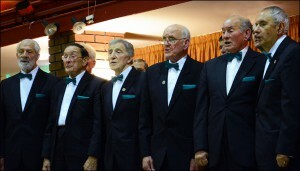 The first concert will take place on December 3rd at Highcroft Hall Care Home, based on Old Fallings Lane, Bushbury, from 7.30pm where the choir will entertain residents ahead of the festive season. The concerts on December 8th and 15th will take place at Sainsbury’s (Wednesfield) based on Rookery Street, close to Bentley Bridge from 3pm. A further concert will take place (with) High Arcal School (at) All Saints’ CofE Church, Vicar Street, Sedgley on December 14. It is hoped that the concerts will encourage new members to join the choir, which was founded in 1943 and in 2013 celebrated its 70th anniversary. This edited news originally appeared in the Express & Star. Click here to see. 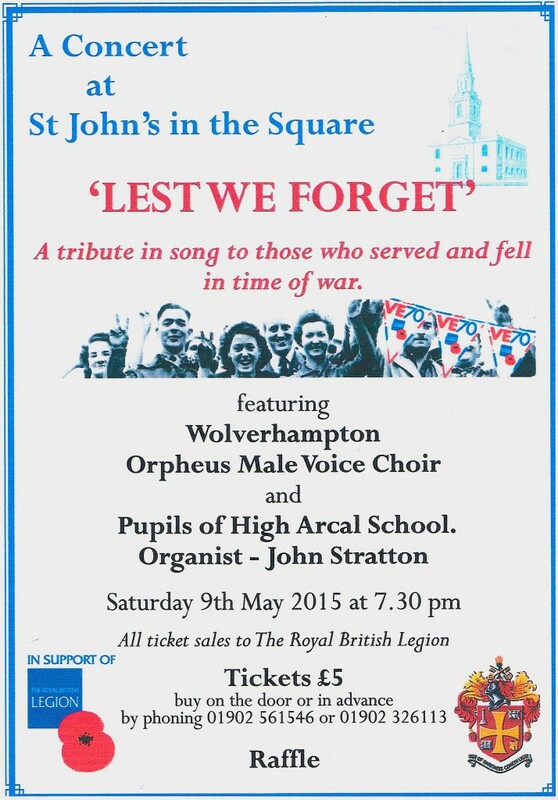 Our concert at St. John’s in the Square, Wolverhampton on Saturday 9th May 2015 was to remember VE day 70 years on (#VE70) & to raise money for our chosen charity, the Royal British Legion. The concert featured several talented soloists from our partner, High Arcal School & Organist John Stratton. Keep the home fires burning (’til the Boys Come Home) is a British patriotic First World War song composed in 1914 by Ivor Novello. Finally, we finish with some patriotic songs from the Last Night of the Proms. On Saturday 20th September we performed at St. Mary’s Parish Church in Bushbury, Wolverhampton. 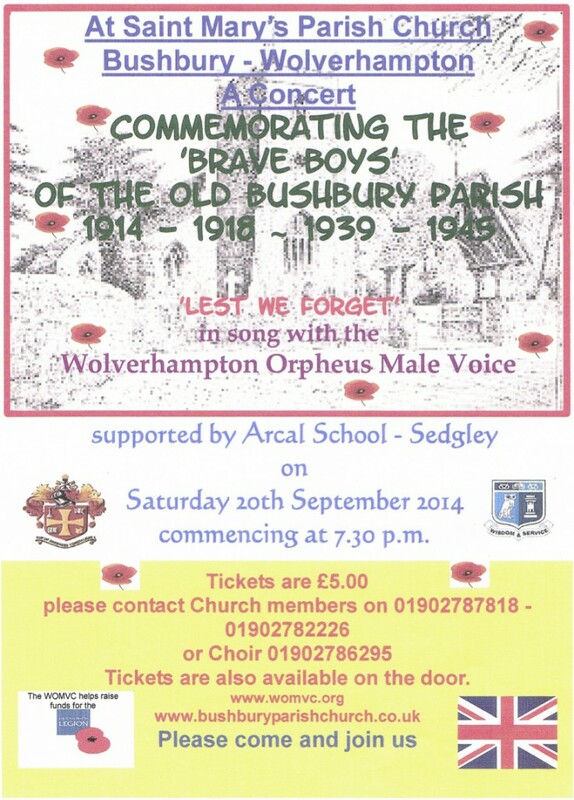 The concert commemorated the ‘brave boys’ of the Old Bushbury Parish who served in World Wars 1 & 2. We were ably supported by five instrumentalists from High Arcal School in Sedgley.